We spend millions if not billions of dollars teaching our managers and supervisors how to give better feedback. And it's still ineffective, whether it's in a formal setting, like the annual appraisal, or the informal like in a meeting or hallway conversation. The problem, according to Sheila Heen and her co-author, is that we are all horrible receivers of feedback. It's the receivers that have the control, whether to accept or reject the feedback. We reject feedback for a variety of reasons: we believe it's wrong; we don't the trust the motives of the other person; we barely know the other person; the other person is so close to us that the feedback jeopardizes our esteem in their eyes; it attacks what we believe about ourselves, such as strengths, authority, belonging, etc. ; and frankly, we may not be in the mood right now. Even when we might have good reasons to reject the feedback, we may want to seek out a friend who can act as a mirror for us. We might want to look for the kernel of truth in the feedback. We don't want to act on the feedback right away because we might be prematurely jumping to conclusions based on fear or desire. We should clarify what the feedback giver means--perhaps the words aren't exactly a clue to the intended message (e.g. "you shouldn't wear those pants today" has various meanings including nothing to do with the pants or you). One thing a friend can do: help you see your blind spots (especially those things we think we're great at doing but everyone else knows we're not). Ask the friend, "What's one thing you appreciate? What's one thing I should stop doing?" At a recent leadership summit, Sheila Heen described that we struggle with receiving feedback because the internal tension we have is exacerbated: the tension between wanting to improve and wanting to be accepted for who we are today. If you want feedback to improve, teach others how to receive it, more than how to give it. And be the first student before anyone else. 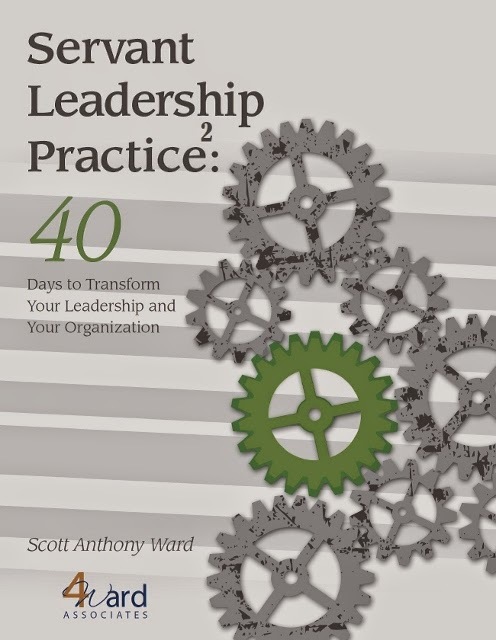 If you, as the leader, can receive feedback in a constructive way, then the rest of your organization will learn from you...and the book.